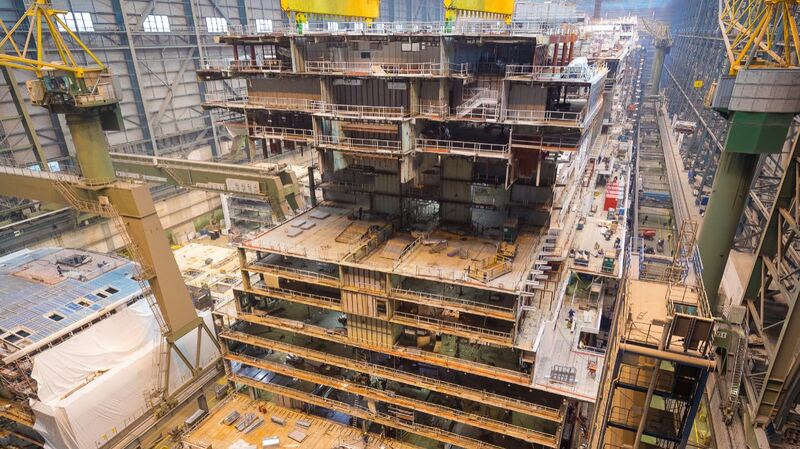 The construction of the world’s first LNG cruise ship is progressing at a rapid pace. 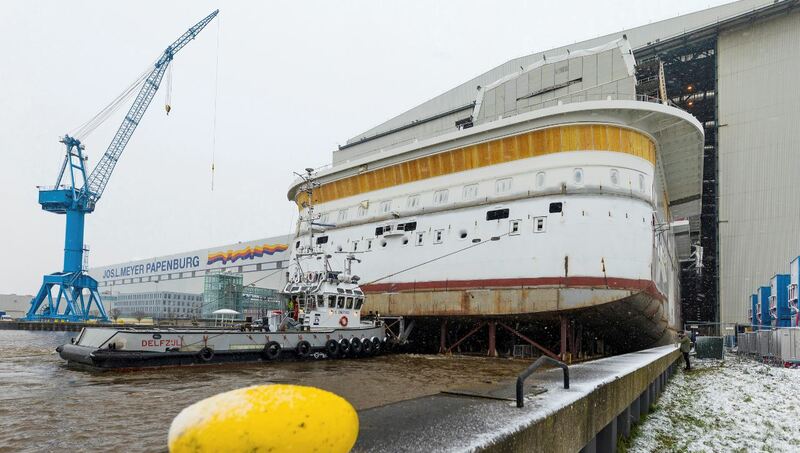 On Monday the stern section of AIDAnova, which is 120 meters long, 42 meters wide and is now 19 decks high, became the first of two giant ship modules to be undocked at the Meyer shipyard in Papenburg and moved to the shipyard’s fitting-out quay. 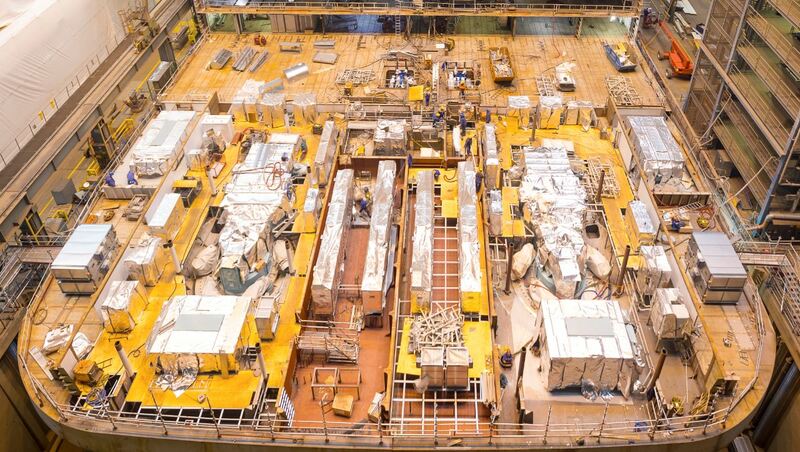 This frees up space in the covered construction dock for AIDAnova’s second engine room module, which is also 120 meters long and 42 meters wide. It set sail for Papenburg early December from the Neptun shipyard in Rostock. In addition to the three LNG tanks, this second module has all of the state-of-the-art laundry technology on board. The second module will be built up to deck 20 in the covered construction dock by the end of February 2018. In less than a year, on December 2, 2018, the world’s first cruise ship which – thanks to four dual-fuel engines – can be operated both in port and at sea with the currently most environmentally friendly and lowest-emission fossil fuel will start its first season as it leaves Hamburg and sets sail for the Canary Islands. Its twin ship with 180,000 GT and around 2,600 staterooms is set to be commissioned in the spring of 2021.